Existing from around 1986 through the early 90s, Golden Avant-Garde was formed around mainstays Chihiro Saito (bass) and Takeshi Naganuma (drums), the former having played with Katra Turana and his own band Lacrymosa, and the latter having been a member of both Time Unit and Soft Weed Factor. The early lineup was a trio featuring a guitarist, later becoming a full five-piece with keyboards and "sonic disaster" (noise and special effects). The band's material and approach to playing reflects their backgrounds – an industrial rock base fused with progressive ideas and deconstructive / chaotic tendencies. In some ways they could be compared to bands like Altered States or others on the God Mountain label, but Golden Avant-Garde never goes all the way over the edge and retains their progressive character. There are some vocals (like on their twisted cover of "Born to Be Wild"), but for the most part they explore instrumental territory. During their time, the band recorded but never released an album. 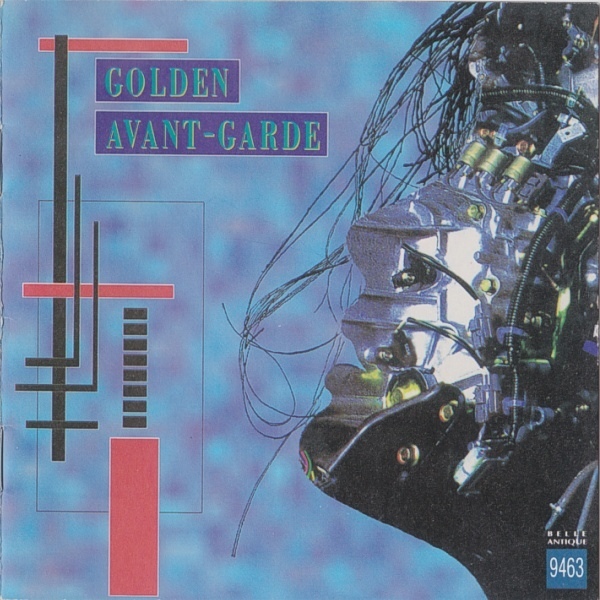 Golden Avant-Garde is a collection of material recorded between 1988 and 1991, and released posthumously in 1994. Most of the material here is on the challenging side – good, but definitely for the more adventurous listeners.